" Australia requires a modern integrated joint national force structure for its defence. Air Power Australia aims to contribute to the development of such a joint force structure. Air Power Australia is a non-profit entity established with the aim of promoting air power in this context; stimulating public and parliamentary debate on air power topics; educating the community; and, publishing and archiving papers and articles on air power topics." Developers and publishers of high quality add-ons for Microsoft civil flight sims, they specialise in military aircraft. debug - descr from exh - move to org? This UK based development team have created a string of innovative Flight Sims which manage to place the gamer in the most sophisticated air combat environments while maintaining a high level of accessibility. They consistently pushed the limits of 3-D modelling and portrayed the most up-to-date combat avionics systems reaching an apogee with the 1998 sim http://www.migman.com/sw/TAW/index.phpTotal Air War which reproduced a modern air war as seen from an AWACS and from the cockpit of the next generation fighter the F-22. DSB Design is an example of the way the internet has empowered talented artists, enabling them to form creative collaborations which span the globe and then deliver their creations to fans. Until I met David Brice, the founder of DSB Design at the Australian Flight Simulation Expo - August 28th, 2004, I had assumed the creator of a magnificient Eurofighter for Microsoft Flight Simulator 2002, was a German based group. Not so. It turns out they live just down the road from me in sunny Sydney, Australia. Small world indeed. 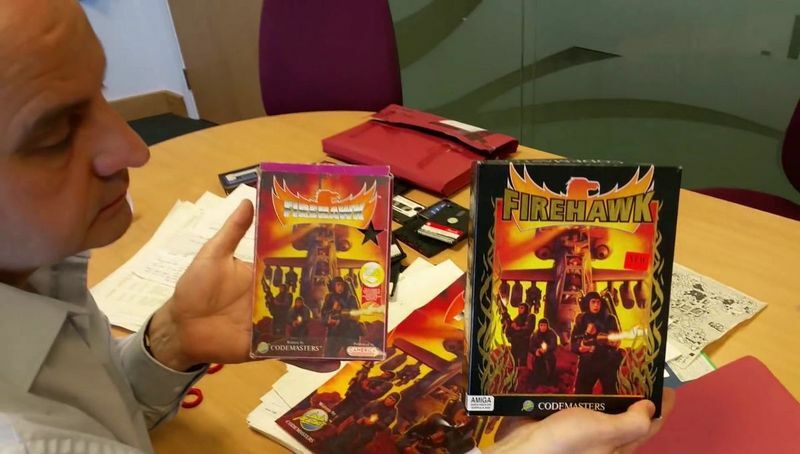 Eagle Interactive developed the software used at Fightertown. As of 2002 there appears to be no web site for Eagle Interactive. Head of Eagle Interactive is Dave Kinney, founder of the Fightertown combat flight simulation center in Southern California. Electronic Arts published some of the most classic flight sims of the 1990s. GOG have done simulation fans a great service by making older titles available and tweaked for modern platforms. Based in Texas USA, HiTech was founded in 1999 and has a simple and focussed philosophy: " ... not to create a large corporation, a vast gaming network, or a line of online games. It's just to create one game, but one that is better than any other like it. Contrary to most companies, our goal is to keep the company small. We know that with a singular focus and an experienced cohesive team that enjoys its work, the production, service, support, and overall level of satisfaction will be unmatched. " 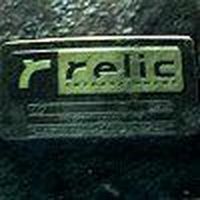 According to the critical reviews HiTech Creations have succeeded in this goal. Inertia was formed in May 1999 to develop flight simulation games using technologies licensed from Parsoft Interactive. Members of the team had previously developed Hellcats over the Pacific, Hellcats: Mission at Leyte Gulf, A-10 Attack!, A-10 Cuba, Fighter Squadron: Screaming Demons over Europe. "Wild Bill" Stealey has recently (2003) rejoined IEN as CEO." My goal is to have a profitable series of products based on WarBirds. I would like to see a flying sim for every period of airborne conflict the United States has participated in, Dawn of Aces, WW II, Korea, Vietnam, Desert Storm. I would like to have a civilian simulator that would allow the players to fly Cessna's, Pipers, WarBirds, over the US using current IFR and VFR rules. I would like to have a Total Sim series that included great land and tank battles (the WarBirds team tells me we could do that with WarBirds III!)" (From an interview at www.furball.warbirdsiii.com). Publishers of magazines - including PC Pilot Magazine | Books | Multimedia | Flight Sims | Video and DVDs | apparel and merchandise. KONAMI CORPORATION was founded in Osaka, Japan in 1969 by Kagemasa Kozuki, who currently serves as chairman of the board and chief executive officer. Perhaps better known for their arcade machines, they also produce games for popular console machines such as the X-box. With over 100 employees, Kuju is based both in Godalming (Surrey), and central London and has been developing games for over 12 years. 1997: Kuju Entertainmentestablished. In March Kuju buys Simis from Eidos and releases Team Apache (1998) by Simis. 2001: Kuju Entertainment releases Ka-52 Team Alligator. Designer of aircraft for Digital Combat Simulator World (DCS). Looking Glass Studios is now sadly defunct (early 2000) but some of their more famous products were Flight Unlimited, Flight Unlimited II and Flight Unlimited III. In October 2001 Xicat Interactive signed an agreement with Jane's Information Group to continue the military games suspended by Electronic Arts. This included the much anticipated Jane's Attack Squadron by Mad Doc Software, which had been sidelined for a year. Microprose developed a line of genre-defining Flight sims from the mid 1980's to 2000. Hasbro acquired Microprose in 1998. Microsoft is the world's largest software developer. Microsoft recognised the potential of flight simulation in the 1980's, and civil flight sims continued to be their flagship entertainment product well into the 2000's. The 'open architecture' of the series has been key to it's enormous popularity, with 3rd party vendors releasing scenery upgrades, extra aircraft and 'adventures', as well as a thriving 'freeware' community. Founder Bob Dinnerman wrote F/A-18 Interceptor for Electronic Arts. In 1988, an unknown Macintosh developer called Velocitypremiered a flight simulation called Jetfighter. The success of this program lead Velocity to take it seriously and they released two years later a sequel: Jetfighter II. Paradigm Entertainment is based in Texas, USA and was acquired by Infogrames in 2000. Parsoft Interactive later became Inertia Games. Sierra have had a long and dedicated relationship with Flight Sims, bringing some of the all time classics to the public. The company started in the late '70s as On-Line Systems when founder Ken Williams converted Roberta William's hand-written game concept into the first graphic/text adventure game ever created - "Mystery House". Cockpit parts and accessories: www.thesimulatorstore.com (formerly: F18simulator.com). Run by former Marine pilot Steve Patterson. 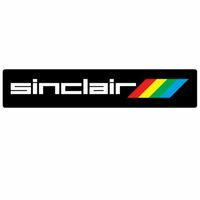 Clive Sinclair invented Electric Cars and personal computers in the early 1980's and had a colourful and zany public personality. Small Rockets is an independent game company based in Guildford, UK. The company comprises a team of around 20 programmers, artists and producers. www.ssionline.com redirects to Ubisoft at www.ubi.com/US/. 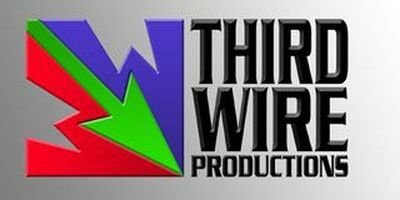 Third Wire Productions was formed by ex EA/Janes and Microprose programmer Tsuyoshi Kawahito. Their first product: "Project 1" focussed on the "classic" jets of the 1950's and '60's. UDS is an interactive entertainment developer based in Norrkping and Gothenburg, Sweden. The company was founded in 1993 and today they have 75 full-time employees. In 1998 Virgin Interactive published 'Sabre Ace', one of the earliest flight sims which supported the new technology of 3DFX. Founded by former members of Alphasim, Virtavia sells FSX addons through their own site, and third party vender sites such as Flight1.com. Vista Oz comprise an international team of skilled enthusiasts who have combined their skills to focus on providing a significant upgrade to the representation of Australia in the Microsoft civil flight sims - starting with Microsoft Flight Simulator 2004. "YAGER is an independent developer of computer and video games based in Berlin, Germany. Founded in 1999 by five dedicated developers and artists, our focus is the creation of vivid and meaningful AAA gaming experiences. Today, a team of 90+ developers is busy at work bringing YAGER's vision of gaming to life."